My criteria for a good chocolate cupcake: It must contain coffee, the chocolate must be dark, and then it must contain even more coffee somehow. This weekend, vegan Dark Chocolate Espresso Cupcakes with Coffee Buttercream were born in my kitchen. I’ve added espresso powder to the batter and double-brewed cold coffee to the frosting in order to meet my personal criteria but the coffee can be omitted to make a plain dark chocolate cupcake that will still blow you away. I do recommend including at least 1 tablespoon of the espresso powder in your batter though; it will enhance the chocolate’s flavor without adding any coffee flavor of it’s own. Note that if you omit the coffee from your frosting, you will need to replace it with an equal amount of almond milk. Make the batter: Whisk almond milk and vinegar together in a large bowl and set aside for a few minutes to curdle. Add the sugar, oil, and vanilla to the almond milk mixture and whisk until foamy. 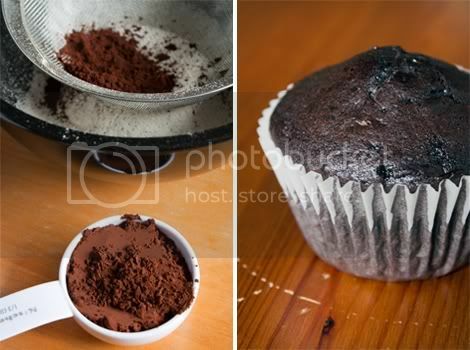 In a separate bowl, sift together flour, cocoa powder, baking soda, baking powder, salt, and espresso powder. Add the dry mixture to the wet mixture in two batches and stir together until no large lumps remain. Pour batter into the prepared liners, filling three-quarters of the way. Bake 18 to 20 minutes, until a toothpick inserted into the center comes out clean. Transfer to a wire cooling rack and allow to cool completely. In the meantime, prepare the frosting: Beat shortening and Earth Balance Natural Buttery Spread together with a handheld mixer until well combined and fluffy. Add sugar in a 2 or 3 small batches and beat for about 3 more minutes. Add the vanilla and cold coffee, beat for another 5 minutes until fluffy. 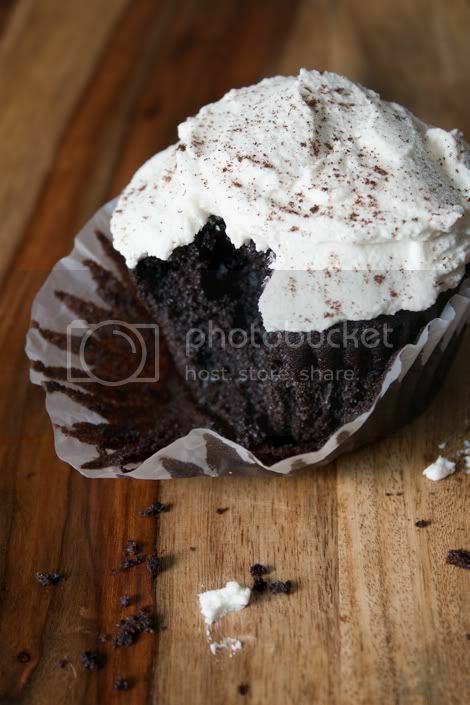 Decorate the cupcakes: Spread 2+ tablespoons frosting over the top of each cooled cupcake. 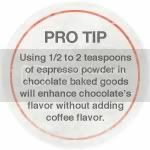 Sprinkle with a light dusting of espresso powder. You can store the cupcakes in an airtight container on your counter for up to three days. i just caught myself licking my computer screen...lol! these look so good, i will have to give them a try!